Burnley have been drawn to face League 1 Burton Albion in the third round of the Carabao Cup. David Seaman and Joleon Lescott made the draw, which paired the Clarets with the Brewers, handing the Clarets a first trip to the Pirelli Stadium. 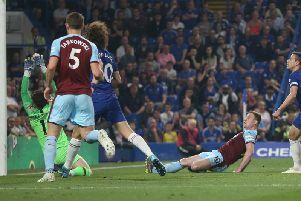 Burnley have had a bye to the third round due to featuring in Europe, and find themselves as one of 32 teams left in the competition. The next round of fixtures will take place the week commencing Monday September 24th.